This October was the end of an era. 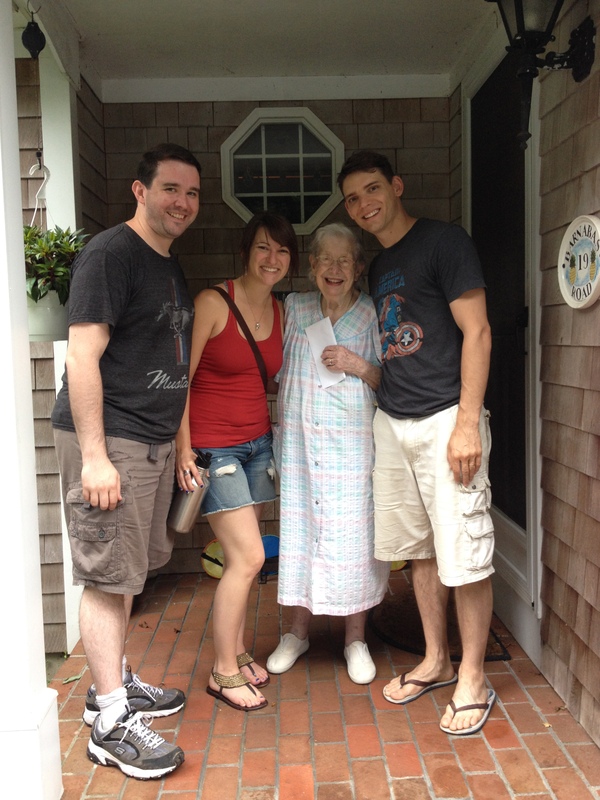 My grandmother passed away and now our family ties to Falmouth, Cape Cod is coming to an end. It was really hard—saying goodbye to Grandma, saying goodbye to the beach, saying goodbye to 19 Barnabas Road. Not only was she my last surviving grandparent, but consequently the keeper of the largest chunk of my childhood memories of grandparents. 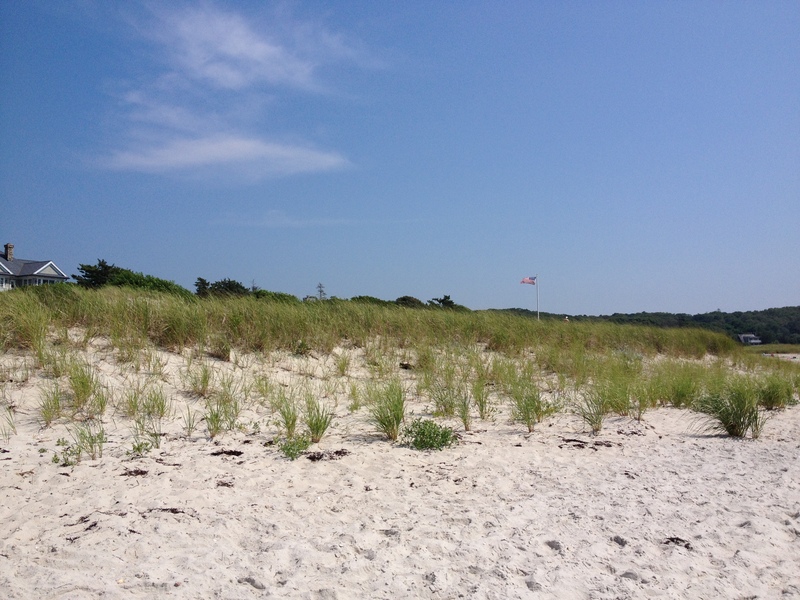 My father’s parents passed away before I knew them very well, but we spent almost every summer of my childhood on the beach at Saconesset . We didn’t know how lucky we were, and here as an adult, comparing notes with my sister from our various travels, I believe that it is one of the best beaches in the world. Not for surfing, but as far as climate, beautiful sand, little creatures to catch and release, birds, sand bars, a view, tides, creeks, and some many other things… it was perfect. Hawkgirl wisely pressed me to take our summer holiday last July to visit my grandmother. It was the last summer Grandma was well enough to have visitors of the social kind. We cooked and cleaned for her, and my parents, sister/brother-in-law came to join us for parts of the visit. It was a mini reunion. Grandma, couldn’t come to the beach anymore, or much else, but we took her out to eat, and took her by her girlhood home of Onset, and saw where she grew up. It’d been a hard last year for her. Congestive heart failure made it harder and harder for her brain to get the oxygen it needed for cognitive functions, nevermind walking. The rest went downhill from there. But even so she went from sitting up and talking to bedridden in only a day, and gone within three. My parents, bless them, were there to care for her the last week of her life. A difficult blessing. A massive winter storm prevented anybody, including my grandmother from being there at my grandfather’s death in the hospital. As awful as I’m sure it was for my mom and dad to watch Grandma deteriorate, it was a blessing they could be there at the end. I guess when you get older you ask for different kinds of blessings…. Now I walk the halls of my childhood, amazed at how much smaller everything is than I remember it. Of course it’s me who’s grown. Turning down Barnabas Road was a quicker turn off than I remembered. The gardens are much more overgrown. The old house, once massive, is just a house. But still spacious inside. Grandma and Grandpa were never much for clutter, but tasteful old décor sat ever-and-always in its place since my youth. The crystal lamp in the hall at the bottom of the stairs. The still life paintings of fruit and glass bottles, the dancing girls spinning, and the candle and the book. A grandfather clock from Germany in the dining room corner, still chiming every quarter-hour (though a different tune—my father changed it when he fixed it for Grandpa I think…). The dining room table covered in the thick woven table cloth. Hardwood floors everywhere, usually covered with runner rugs, and braided throws, now show bare patches of worn wood, exposed by either the hospital staff, or family members already cleaning out the house for sale. Grandma and Grandpa had doors everywhere. Slatted doors between the dining room and kitchen. Door to the porch. Door to the basement. Door to Grandpa’s forbidden office. Somehow the extra tall staircase to the upstairs, with the wide landing, and the door at the top was a novelty of summer vacations, and staying at Grandma’s. The guest rooms were up there, and it was a privacy thing for both our family (and Grandma and Grandpa, I realize now). They loved having us visit, but their house was not “child proof.” There were several things we were never allowed to touch, and places we were not allowed to go. We couldn’t run in the living room or dining room. Never put your feet on the coffee table. Don’t touch the china cabinet in the dining room, or stomp when walking by it (the china wobbled and clinked whenever you did). And we never, ever went down the hall to Grandma and Grandpa’s room. I don’t remember if that was ever said, or if we were ever shooed out. We just didn’t do it. It was sacred. But for all the prohibitions, the Cape was a place of permissions! We could always just barge in through the front door without knocking when we arrived after our three-hour car ride to get there. The back porch was always open in the summer and you could come and go as you pleased. The toy basket would descend from the guest room closet (the double-folding, slated wood doors) in Mom and Dad’s room, filled with playsets and the diver and octopus and submarine toy that were always the coolest. We could toast our own frozen blueberry waffles, a delicacy never seen in our own kitchen back home, and after lunch…! After lunch we could have ice cream cones. Every day! It was a paradise. These were the things that told you: you were on vacation at Grandma and Grandpa’s! After breakfast we’d get ready for the beach. Just put on swimsuits. I don’t know why it always took my parents for-EVER—we would be ready and waiting long before them! They’d send us out onto the porch for the ritual sunscreen application–on the porch in case you dropped any of the lotion on the floor. Grandma or Grandpa would sometimes sit in their chair out there with us, inside the safety of the screen walls, with their cold drink—ice cubes clinking in the tall, insolated plastic summer cups. Eventually Mom and Dad would be ready, and we’d drive to the beach, sand toys loaded in the back, along with beach chairs, blankets, and towels, more sunscreen, snacks, and books (for our parents) stuffed in Mom’s big, signature, canvas Beach Bag. 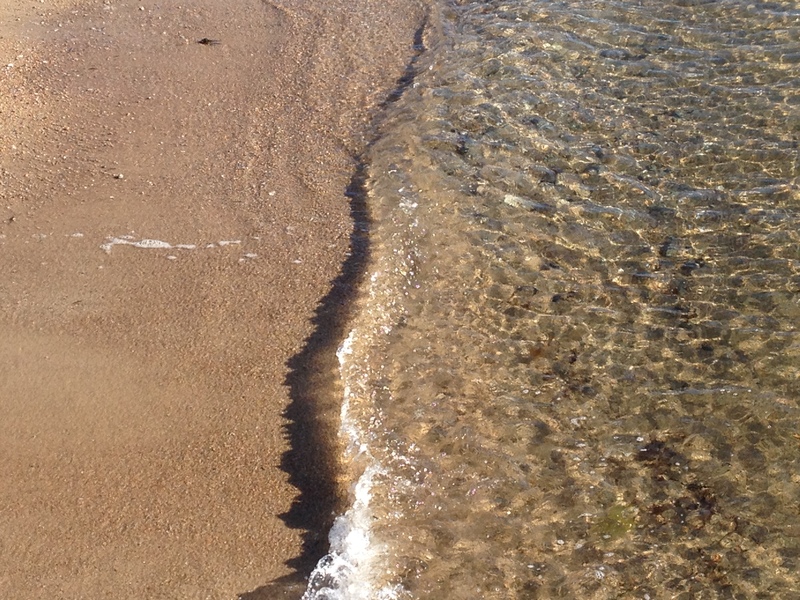 Then the days—oh, the days—on the beach! I could write pages and pages on the beach, and they would be as exciting and boring as anyone else memoirs of a childhood beach. Believe it! But besides catching hermit crabs, and casing minnows; besides building sandcastles or watching my older brother make Drip Castles; besides swimming, and swimming, and swimming, and then washing up on shore pretending to be a survivor of a wreck—I’ll only recount this for now. When we were prune-fingered, sandy, and wet, and getting hungry, Mom would whip out Cheez-its. And we’d eat those sun-warmed, cheesy crackers, for a welcomed carbohydrate and salty-electrolyte boost, in cold, damp handfuls of ecstasy. When it was finally time to go, then came the grueling exfoliation of trying to dust the sand from our feet with our damp towels. We’d sit in the car with the windows down, and no seat belts we required for the short ride back to the house. I always felt like a soldier in a Huey helicopter, with no seat belt. Sometimes for dinner Grandma would have cooked a Cape Cod delicacy, lost upon children I’m afraid: Cod, or breaded bay scallops, or such. But we kids loved the toasted rolls she had heated in the oven, and kept warm in the chicken-shaped wicker basket. But the best days were when we padded around back of the Cape-gray house to the outdoor shower to rinse off, and you could smell Grandpa’s chicken smoking on the grill in its dusky marinade. Never gas—always charcoal. A family recipe, indeed. When we were older, my brother and I would play hearts with Grandpa and Dad at the dinner table once all the food was away. We learned to count cards, laugh at the two of clubs, Shoot the Moon (my Dad’s favorite), fear the Queen of Spades, and vie for the Jack of Diamonds. These were the days of summer. These were the days of my childhood on the beach. I’ll miss you Grandma and Grandpa. Can’t wait to see you again. Daniel Cossette is a writer, actor, dancer, and mime originally from CT, USA. He's been writing, producing, and acting in scripts since jr. high. At Mimeistry International, Pasadena, CA he double-majored in Mime and Theology. Afterwards he founded Ambassador Arts and produced the shows Say It Louder! and Christmivest, including all original stories; he danced with Ad Deum Dance Company, Houston, TX, and eventually moved to England where works with Springs Dance Company, and directs Infusion Physical Theatre. He is married to a long time friend from the mime school, and currently resides in Cambridge, England. 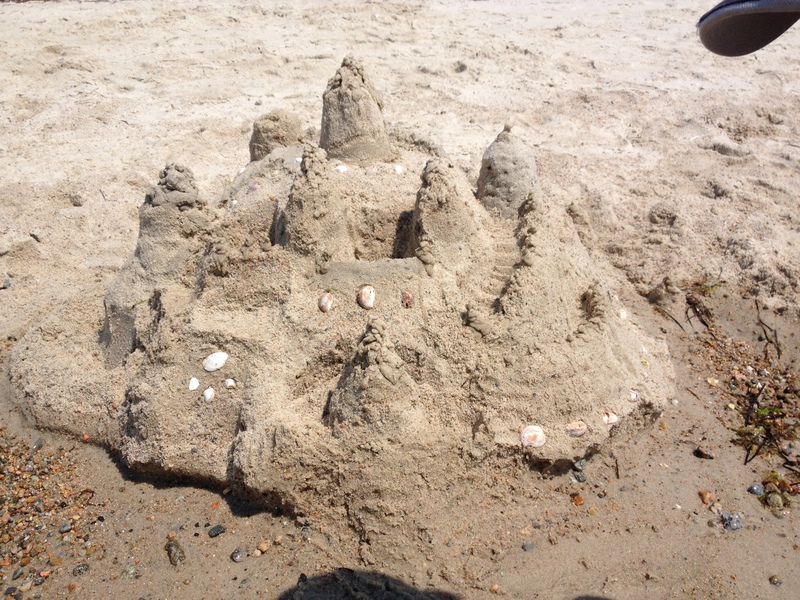 This entry was posted in Uncategorized and tagged bay scallops, beach, Cape Cod, Cheez-it, grandma, grandpa, Grandpa's Chicken, grandparents, Hearts, Huey helicopter, memoirs, memories, summer vacation, sunscreen. Bookmark the permalink. Dang it, you’re making me laugh and cry at the same time.